You probably know that one of the main reasons you need to wear sunscreen and protect your skin from harmful UV rays is so that you reduce your risk of developing skin cancer, particularly melanoma. Yes, damage from the sun can age your skin, but a few wrinkles are a minor concern compared to fighting for your life in a cancer battle. 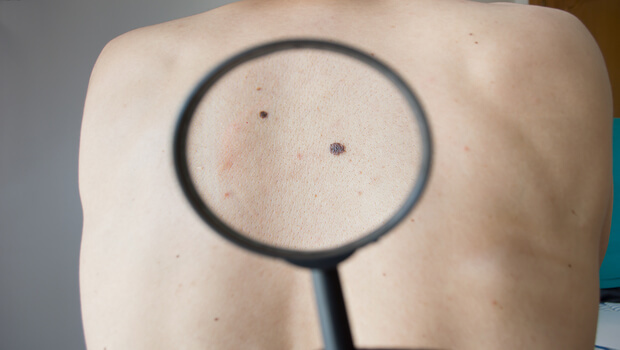 One of the reasons melanoma is so dangerous is that it’s aggressive. 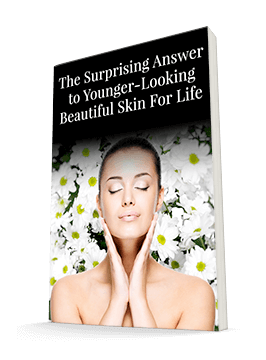 It can move incredibly quickly from being a tiny spot on your skin to spreading to vital organs. And until recently, researchers weren’t even sure how that happened. Now, new research is shedding some light on the process and it may lead to future life-saving interventions. This research, conducted at New York University and published in the journal Cancer Cell, focused on the process through when carbohydrates get attached to cells. Researchers have suspected for years that this process, called glycosylation, was key to the spread of melanoma. But they didn’t have any clinical proof. The NYU researchers looked at a number of cancer tissue samples, focusing in particular on a sugar called fucose. They found that an enzyme called FUT8, a driver of the fucosylation process, is a significant player in melanoma metastasis. Mice studies helped confirm FUT8’s involvement and helped the researchers identify another molecule involved, L1CAM. It seems that FUT8’s attaching fucose to L1CAM encourages melanoma metastasis. Removing FUT8 from the mice thwarted both the onset and the spread of melanoma. This is definitely an exciting development. However, it’s just the beginning of a research process. Removing an enzyme from a human is a lot bigger deal than doing so in a mouse and can cause a cascade of consequences. Still, the researchers are hopeful that this discovery could lead to some targeted treatment options. In the meantime, let’s go back to what we said at the beginning: Wear sunscreen. Protect your skin from UV rays. And do regular skin checks to keep an eye out for anything suspicious. If you spot something, make an appointment with your dermatologist immediately. Melanoma is aggressive and every day counts. In the meantime, one preventative strategy is using a comprehensive antioxidant, such as MycoPhyto Complex, the formula created by Dr. Isaac Eliaz for his patients. People have used medicinal mushrooms broadly for generations to enhance immune function. Mushrooms inhibit pathogens and protect and revitalize the individual’s health. Praveen Agrawal et al. A Systems Biology Approach Identifies FUT8 as a Driver of Melanoma Metastasis. Cancer Cell, June 2017 DOI: 10.1016/j.ccell.2017.05.007.